Cornwall Furnace in Cedar Bluff, Cherokee County, was constructed in 1862 by James Noble and Sons to produce pig iron for the Confederacy. 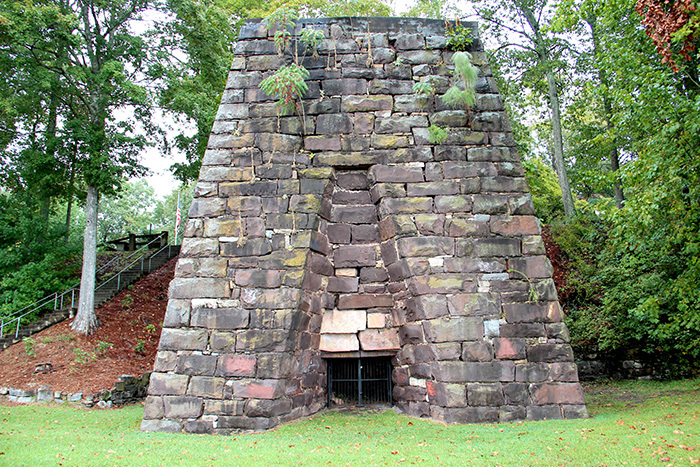 Built in the early years of the Civil War, the furnace was completed quickly using the labor of some 1,000 soldiers and slaves leased from local plantations. It was disabled by Union troops in 1864 but returned to operation in 1867, producing pig iron until 1874. The site was listed on the National Register of Historic Places in 1972 and purchased in 1975 by the Cherokee County Commission, which operates the site as historical park.